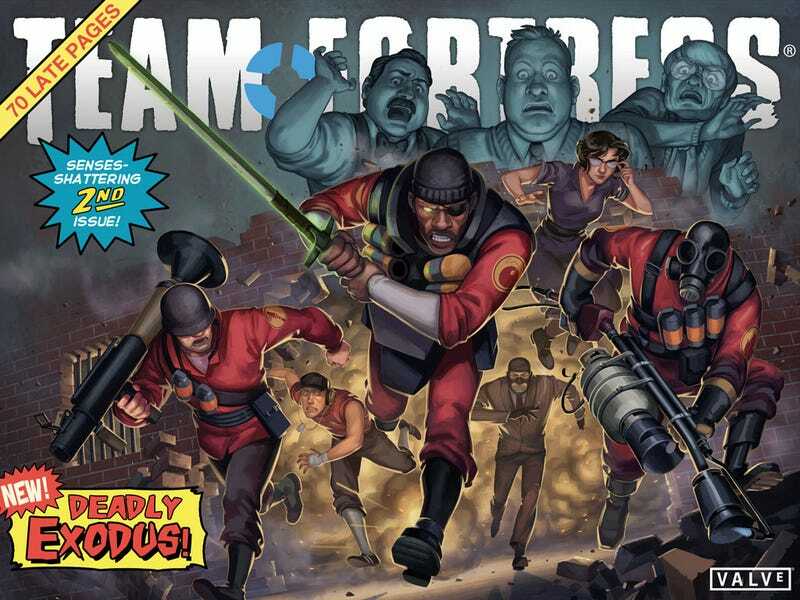 Team Fortress's Second Bimonthly* Comic is Out! Team Fortress comics are back! And boy, is this one a doozie! Now that Saxton Hale is no longer CEO of MANN CO, he goes to meet his old love from years past. And Pyro goes to the Library.